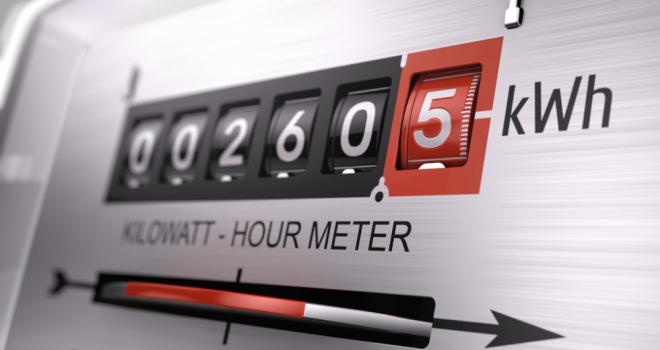 Energy theft – where a meter is tampered with to save on utility bills - will already be on most property professionals’ radar. However, with average portfolio sizes at an all-time high, it can be easy for checks to fall by the wayside as landlord workloads continue to rise. This is a worrying prospect given that the practice can cause electric shocks, fires, street-wide gas explosions and is responsible for at least one death or serious injury every 10 days in the UK. There are numerous ways that energy theft can occur within the rented sector - from occupying tenants cheating their energy supply to landlords interfering with the meter in their own rentals. Furthermore, innocent neighbouring occupants or even individuals that inherit a tampered meter could be implicated and harmed as a result. This is especially worrying for those in high-rise tower blocks, where many lives could be at risk due to issues in one flat. Despite these dangers, our research recently found that over a third of the public is unaware of the threat posed by energy theft. For this reason, raising awareness of meter tampering must be a priority to help ensure both landlords and letting agents as well as tenants are able to effectively identify a tampered meter and take action to report it, preventing potential casualties. With this in mind, let’s identify the main indicators of energy theft and how to act appropriately if there is any suspicion that the crime has been committed. According to our findings, almost three million households across the UK could be in jeopardy from growing instances of energy theft. To help reduce the threat and safeguard tenants, it’s vital that both landlords and letting agents can recognise a tampered meter, as well as educate renters when moving in how to carry out their own checks. This can swiftly resolve any inherited meter tampers, left from a previous occupier or landlord. While the above highlights the most frequent signs of energy theft, this is not an exhaustive list. If none of these indicators are visible, but someone still suspects a meter has been tampered with, do not hesitate to take the appropriate action. Regardless of whether a suspected tamper has been carried out by a tenant or neighbour, it is every individual’s responsibility to act fast when reporting energy theft. Of course, it could alternatively be the landlord who has tampered with a meter – and honest landlords as well as letting agents should not hesitate to report their peers for this dangerous practice. These elements are crucial to prevent possible casualties. 1. Improve checks and processes – carrying out move in/move out meter inspections alongside checks during other regular property visits will help aid early detection and ensure that potentially dangerous situations are avoided. Letting agents should also carry out similar checks when taking on new landlord’s properties. 2. Educate tenants – making occupiers aware of the serious dangers of meter cheating could prevent some would-be cheaters offending, as well as encouraging tenants to report their guilty neighbours. 3. Work with the energy sector – landlords should work with the sector to report any suspected tampers – including in those properties owned / managed by their peers. Along with the above, anyone can anonymously report a tampered energy meter to StayEnergySafe by calling the dedicated 24/7 hotline run by Crimestoppers UK on 0800 023 2777, or by filling out the online form. This information should be communicated to property professionals as well as tenants to help maximise reports. There have been numerous cases of residents being harmed as a result of tampered meters, but tip off volumes remain low. This needs to change. Meter tampering risks lives – and in rented accommodation with multiple tenants, for example within flats and tower blocks, many innocent lives could be in danger. Key to addressing this issue is education and collaboration. By educating tenants about the crime, taking the fear away from people reporting their neighbours, carrying out regular property checks to stop thieves faster and reporting anyone suspected of meter cheating, we stand a better chance of keeping our communities safe. Everyone must work together to ensure they can spot, report and prevent energy theft. This could save many lives and prevent avoidable tragedies.